When about a year ago, I submitted my first pictures to shutterstock, they rejected them all and for a good reason – they were just bad! I don’t claim to be an expert in this area, I’m still merely an amateur, but I have picked up some tips and tricks. Main thing I learned is that EVERYTHING CAN SELL, even your mediocre travel pictures can sell! 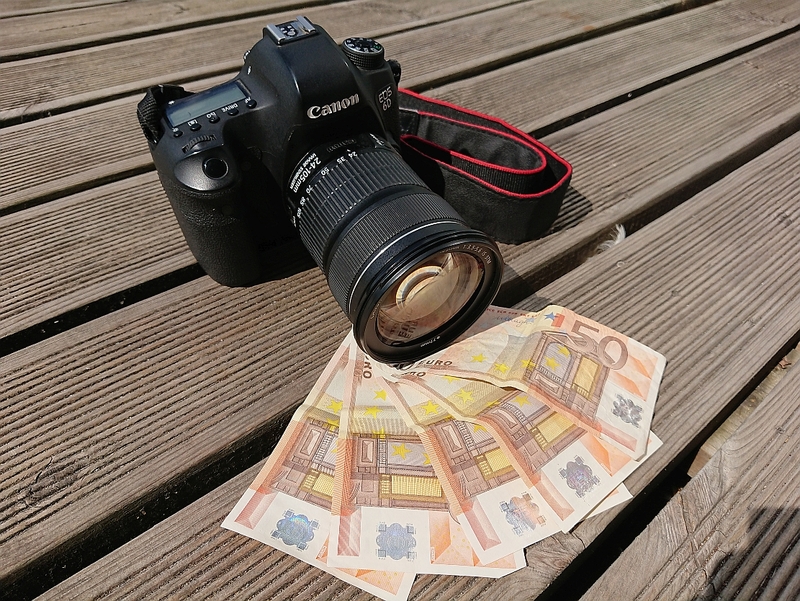 This is the most crucial requirement, if you want to sell your photos. If possible use narrower aperture(f/8 – f/20) to keep everything in focus. Your future clients will blur out background, if they need to. Only use wide aperture, if it serves the purpose (like bokeh background or blurring out faces). Learn to use your camera’s histogram. If you make photos at daylight, and you are not aiming to be artistic, then histogram is your best friend. Histogram comes useless only at dark, when exposing every detail doesn’t make sense. Notice the spikes in the center, this is where most colors situate. Left side of histogram represents dark colors (black), and right side – bright colors (white). It shows you what colors dominate the photo. Overexposed means that you have too much white color in your photo. This is acceptable, if you make a photo of a model and a light source (sun) is behind him/her. Then you have to expose on the model and as a result the sky will be blown out and will appear white. 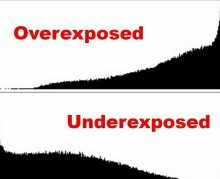 Underexposed means that there is too much black color in your photo. This is acceptable, if you make photos at night, where black is dominant color and serves the purpose. Combine, combine, combine. Don’t just make picture of grill, use something in the background. If you are grilling with friends, choose them for background/foreground. Images with diverse groups of people sell more. If you want to sell picture with people on the background, but you don’t have a model release from them, then use wide aperture to blur them out. You can also do it in post-production. Try to avoid registered trademarks and logos. These can be removed in post, but it will look unnatural. Here is where wide aperture also helps. Think like a blogger/web designer/youtuber. Choose your favourite topic and think about people in this area: what they are selling? do they have etiquette? how are they selling (based on facts or feelings)? what is their culture? Your pictures don’t have to be spectacular, they must have details and objects wanted by your future client. If you find a good spot/object, keep shooting! Find more angles, add more relevant objects, turn it around, shoot it from above etc. Use whitespace! Leave some room to left/right, where designer can add their promotional text. Put an effort to tagging and naming your photo. Use at least 5 words in title, the more, the better. Avoid excessive noise. If you shoot with ISO 400+, always use noise reduction in post-production. Set up your own studio. If weather isn’t pleasing for you, then it’s time to stay home and take some product photos. For me, those ones sell the most. Possibilities are endless! Use a software like XPiks to upload your photos to multiple stock websites in one click. It saves your time tenfold – no need to insert titles/description/tags manually to every single site. Lightroom is very intuitive and simple way to process your RAW photos. Highly recommended!